When it comes to your wine palate, start with what you know…with the textures and aromas in the wines that catch your attention! I have learned to know what I like in the structure of Chardonnays, Cabernets, and Pinots and what to expect in their flavors, aromas and texture. I have developed my palate over the years through experimentation, sampling wines from a variety of regions worldwide but it is an unfinished process. Developing your wine palate should not be a daunting task and that is why I say, start with what is pleasing to your taste. Once you find a wine that speaks to you, get to know it better…what are the flavors and aromas that attract you to this wine?? You’ll be amazed at what you can discern after spending time with your favorite bottles. A recent article in The Wall Street Journal focused on what makes a ‘great wine palate’ and it made me think of how I might expand mine. The article touches on the notion that a great palate uses the combined sensations of taste and smell. Winemakers often try to describe their wines to enthusiasts by giving extensive notes on what they think you should be tasting…burnt cherry, sage, licorice, grapefruit, cigar box (I enjoy an occasional cigar so know what that is!) wet stone…do you actually taste this? However, in a way they are right, our memory of flavors and aromas has a lot to do with defining what we taste, and finding a familiar taste memory in a glass of wine helps us to appreciate it more fully. But it takes some practice to truly identify what herbs, spices, earth, fruit, floral (you get the picture), notes you find in wine, and which, in particular, speak to you. My wife Kirsten loves to cook and I love taking in the aromas as a dish is being prepared, sometimes the smell of mushrooms sauteing, sometimes the smell of garlic being minced or peppers roasting in the oven. So much of what Kirsten does is by gut, experimentation and knowing what certain herbs and spices will add to a dish! But her tastes are always evolving and a flavor that she might not have thought about using a few years ago all of a sudden will make an appearance and change up a meal, cumin for example, or french lavender, or habanero peppers after our pepper bush exploded with fruit! I would suggest that developing a wine palate is a similar experience, filing away familiar and well loved flavors and adding and experimenting with new ones. One way to expand your wine palate might be to pay a visit to a farmers market and pick up a jalapeno chili, or take a hike and pay attention to the smells of wild sage and anise, or you could simply visit your personal spice rack at home and get your hands a little dirty…crush a bay leaf, or dried rosemary, or thyme in the palm of your hands and file away. Once you are more aware of what you like you can begin to expand your palate by applying what you know to any wine you choose! 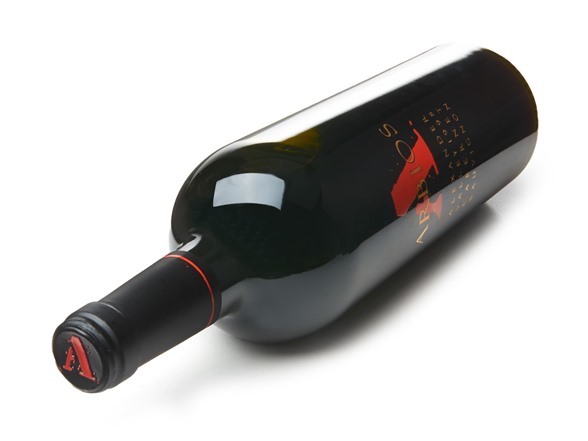 2010 Arbios Cellars Alexander Valley Cabernet Sauvignon from our Wild Creek Ranch!